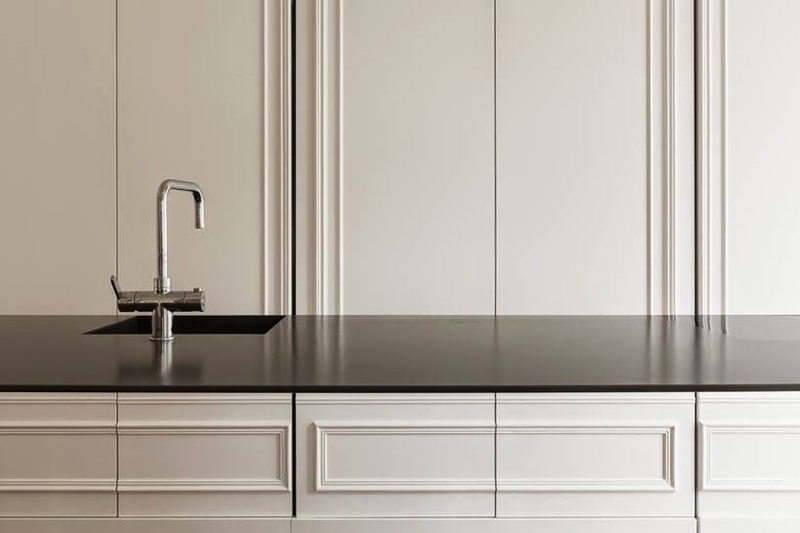 Netherlands based interior architecture and design firm i29 introduced a configuration of the contemporary kitchen that can be taken as almost invisible. 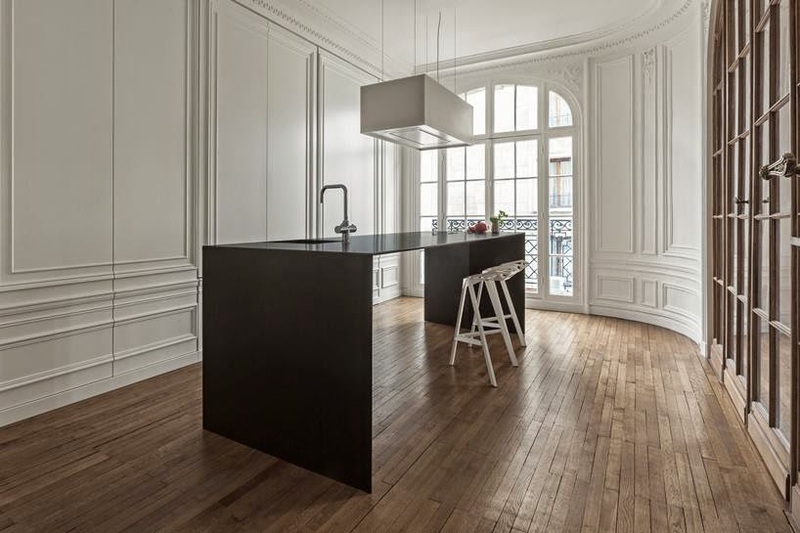 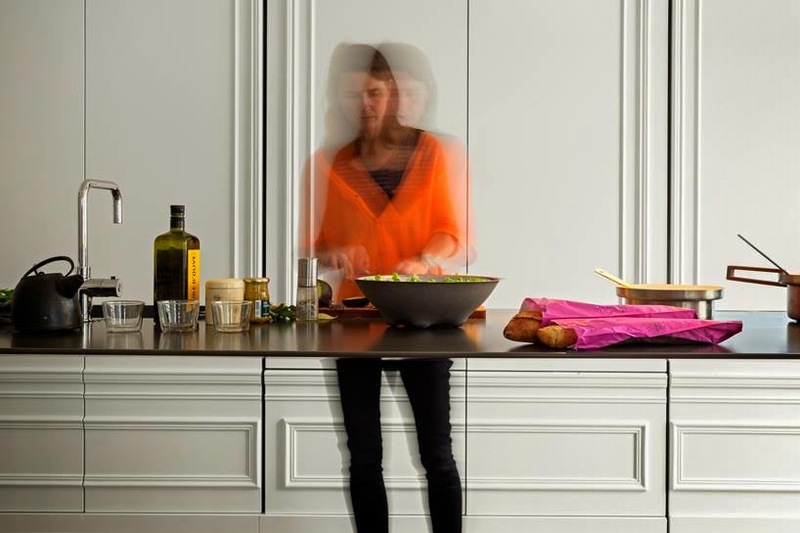 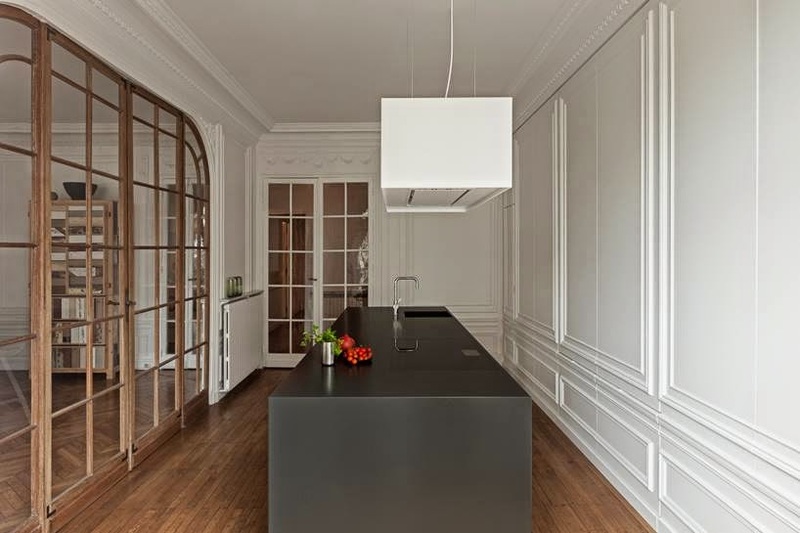 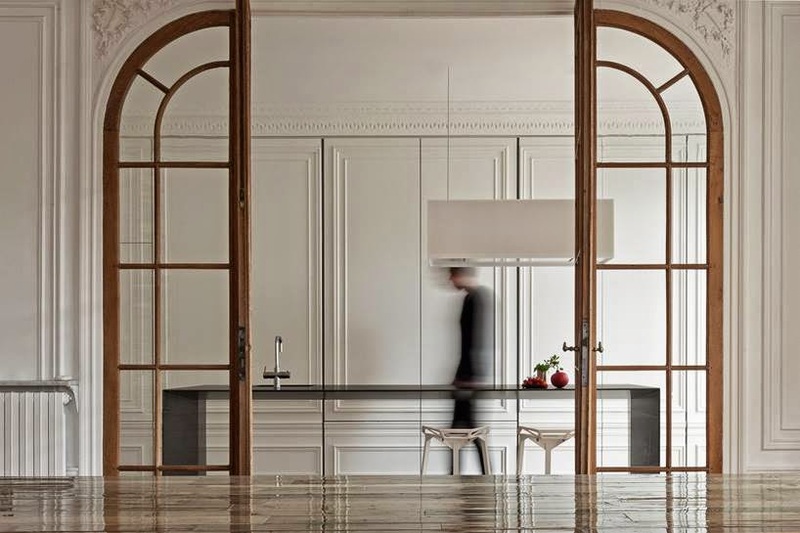 Designed for an apartment in Paris, the minimalist kitchen system merges kitchen and living space and makes their borders less distinct, meeting the changing morphology of the contemporary home. 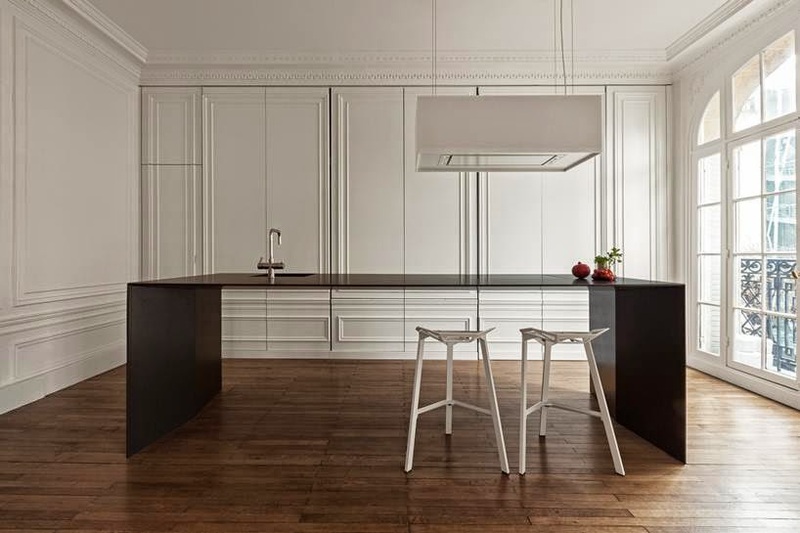 "The result is a kitchen island that, when not in use, appears and operates more like a piece of furniture – an extension of the main living area – than a distinct functional area."